For those of us who watched live TV for four days in 1963 following the assassination of President John F. Kennedy, the reality of those days is stamped permanently in our memories. It would be hard to exaggerate the impact of seeing history unfold as we watched it happen. The release of Jackie more than half a century later stirs those memories again and fills in the blanks we didn’t see. The good news is that Natalie Portman has made a serious and successful effort to capture both the quiet and the fierce sides of Jackie Kennedy as she designed every detail of four days of tribute to her slain husband in the relentless glare of live television. When she learned that no one had any imagery of the funerals of the assassinated Presidents Garfield and McKinley, Jackie designed her husband’s ceremonies after those of Lincoln. Determined, she insisted on the long public march of the world’s assembled leaders as they followed the horse drawn casket down Constitution Avenue. That became an image etched in history. 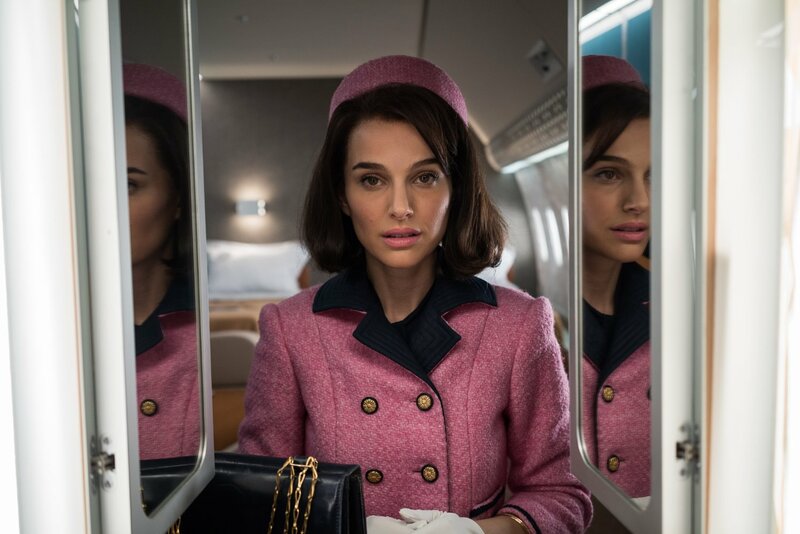 Aside from Portman’s admirable effort to fill in detail without overdoing her performance, how does the film hold up? It suffers from trying to crowd four days into two hours without identifying the key characters in the Kennedy administration or the foreign leaders who came to the funeral. Younger generations need to know who these people are. The major error is made by director Pablo Larrain when, without explanation, he shifts back and forth between Jackie’s pre-assassination TV tour of the White House and her preparations for the funeral. That tour had not been a public success when it happened and there is no conceivable reason for it to be in the movie. The result for new generations of viewers can only be confusion. Peter Sarsgaard does a solid, restrained job of portraying Bobby Kennedy who never left Jackie’s side until he went into a long personal seclusion after he had done all his duties. Greta Gerwig creates Nancy Tuckerman, Jackie’s smart, loyal friend who attended to the details of her friend’s life. In a brief appearance as Jack Kennedy, Caspar Phillipson caught JFK’s expressions with uncanny accuracy. But we need their identities. The main problem: the unnecessarily confusing intrusion of that White House tour. The main strength: Natalie Portman’s carefully considered portrayal. As Jackie Kennedy directed the details of the aftermath of the shooting, she was fully aware that she was creating the official historical record of the assassination. Five decades later, historians are grateful for that as they watch the TV record of everything she did to preserve the truth of those four days. This movie fills in some of the off–camera drama. Spectator Abraham Zapruder alone never stopped his camera as the shots rang out. Seeing that moment again here, we wonder how Jacqueline Kennedy dealt with the immediate aftermath. Natalie Portman’s portrayal shows her strength and determination as she designed a funeral that history would remember. This review was posted on January 14, 2017, in Biography, Drama. Bookmark the permalink.